When shipping Internationally, some countries require Commercial Invoices, to comply with worldwide customs regulations. To ensure your shipment seamlessly moves through the network without any delays, you must complete a Commercial Invoice correctly. One of the reasons why it is so important is because customs authorities need this to assess possible taxes and duties. 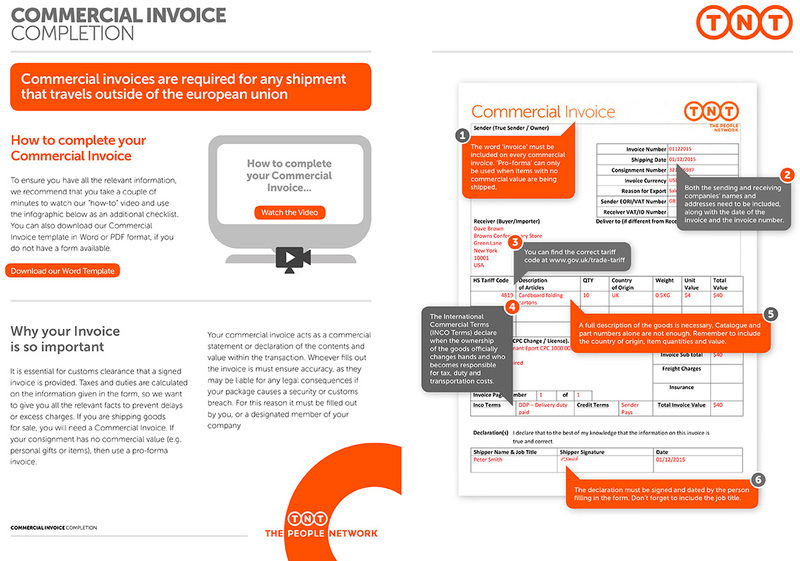 To ensure Commercial Invoices are completed correctly, we have created a infographic and video to explain the process. The Commercial Invoice is to be completed, printed, signed and handed to the driver with the consignment. Date of invoice (shipping date). HS Tariff code. Please include this information (if known) also referred to as “commodity code”. In the absence of a Tariff being provided, a full and accurate description of goods MUST be supplied. Quantity of each item of goods supplied. Total value of all goods covered by the invoice. Delayed Delivery: your shipment(s) may not be delivered on time as it could be held up going through the customs process. Additional Work: you will have to arrange the correct documentation in line with customs legislation; taking you away from your core business activities. 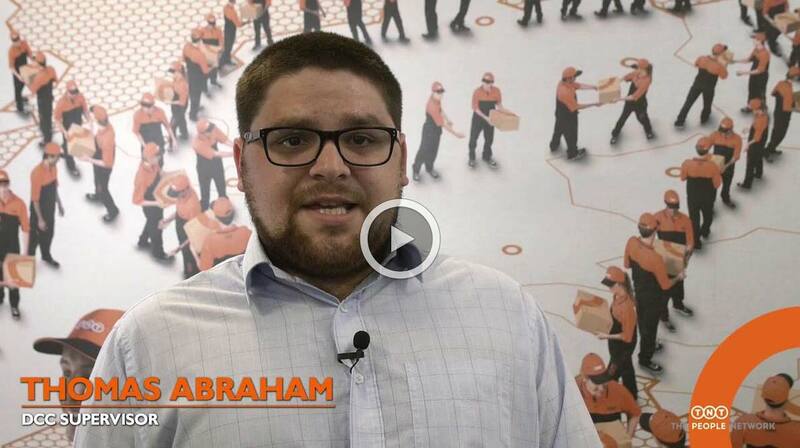 Extra Charges: you are likely to incur additional charges to complete the delivery of your shipment. Poor Customer Experience: if your shipment is delayed then this could damage your reputation with your customers and lead to loss of business.